Everyone knows that after a bottle or two of wine you're going to be completely pickled, so why fight the inevitable? 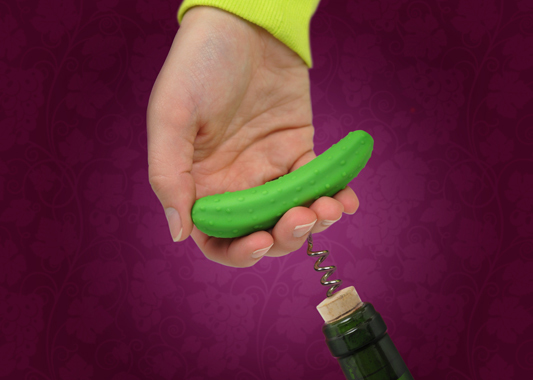 Show everyone your expected future state with the Pickle Corkscrew. This classic bottle opener features a standard corkscrew with a green pickle handle. Your guests will definitely crack a few jokes when they see you pull this sophisticated gadget out of your kitchen drawer. Don't be caught with a regular boring bottle opener when you can use the Pickle Corkscrew and have your guests pickled pink. It's a great gift for all the gherkin lovers, wine enthusiasts and total dillweeds in your family. 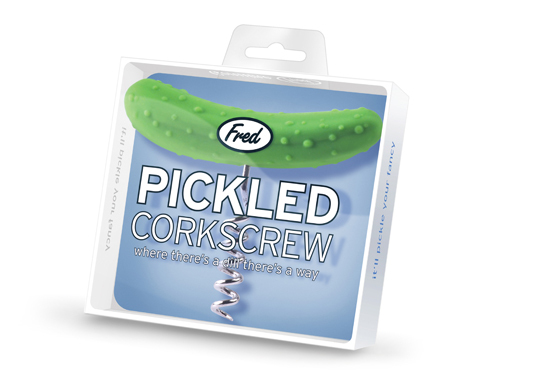 Sometimes you just need a bottle of wine, and the Pickle Corkscrew is the perfect salty companion to your favorite moscato or white zinfandel. 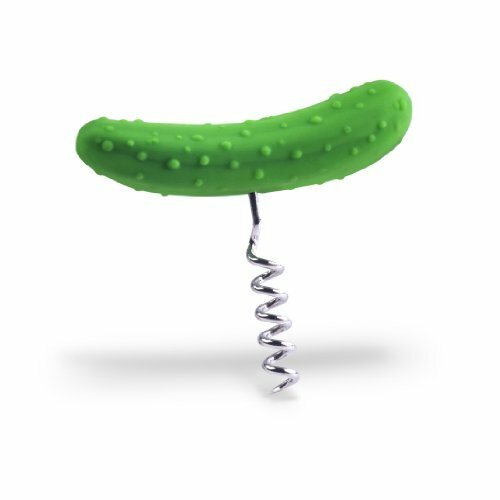 You’ll never find yourself wondering how you will liberate your libation with this hardworkin’ gherkin! 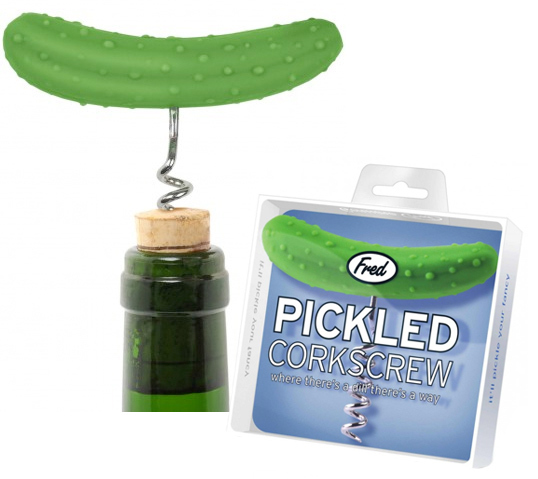 Who Would Love the Pickle Corkscrew? When people love pickles, you know it. You’ll hear them extolling the greatness of gherkins and make you taste fried pickles for the first time. They’ll also love the Pickle Corkscrew. Odds are they already have the Pickle Mints and Pickle Floss, so this is the perfect addition to their collection. Is it a real pickle? Much like the imaginary friend from your youth, it’s real if you believe in it. Ok, that’s a total lie. It’s not real. It’s made out of plastic and is not edible in any way. The good news is that it’s a 100 percent workable corkscrew. Don’t eat it. Ever. What makes it such a good corkscrew? The pickle handle is the perfect shape and gives you an ideal grip for pulling out corks. It doesn’t matter if you have a $5 bottle of cheap vino or a 100 year old bottle from your private collection, the Pickle Corkscew fits all occasions.